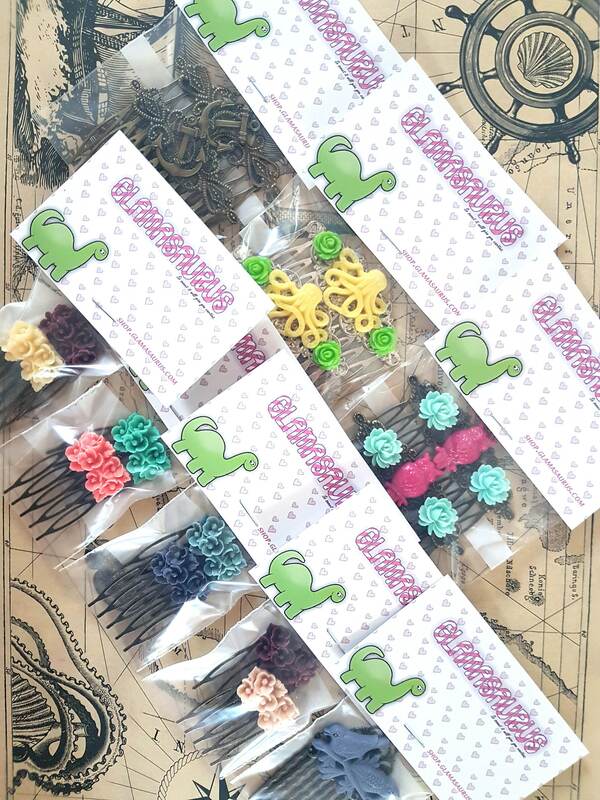 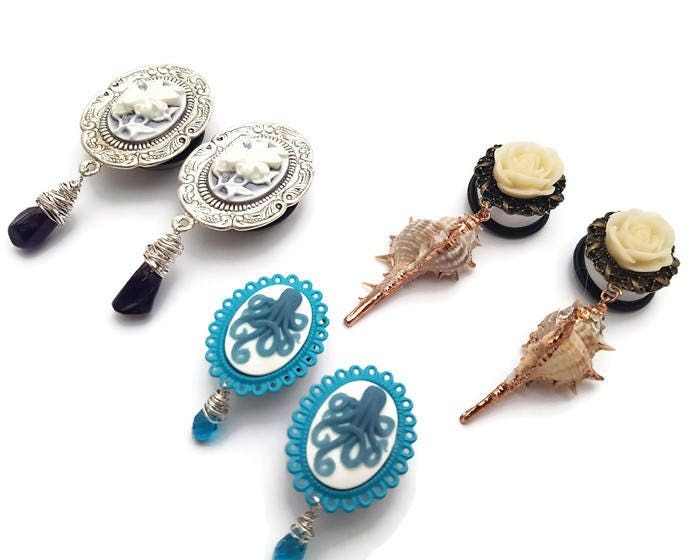 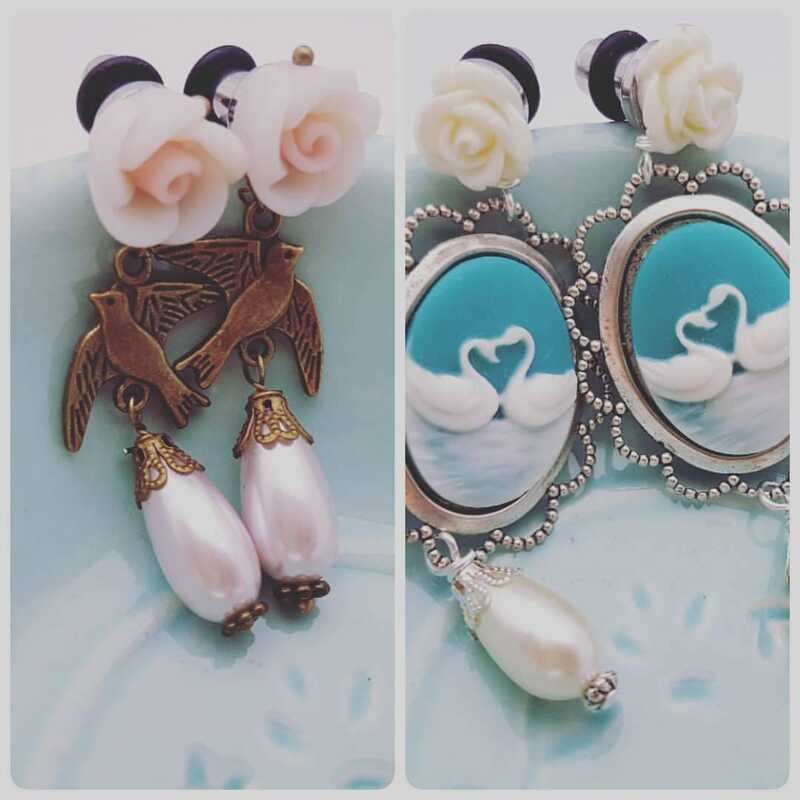 These stunning plugs would be great for whenever you want to stand out from the crowd. 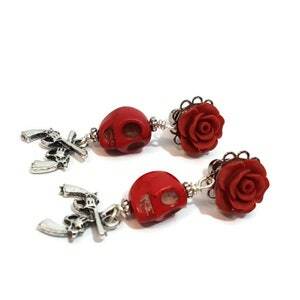 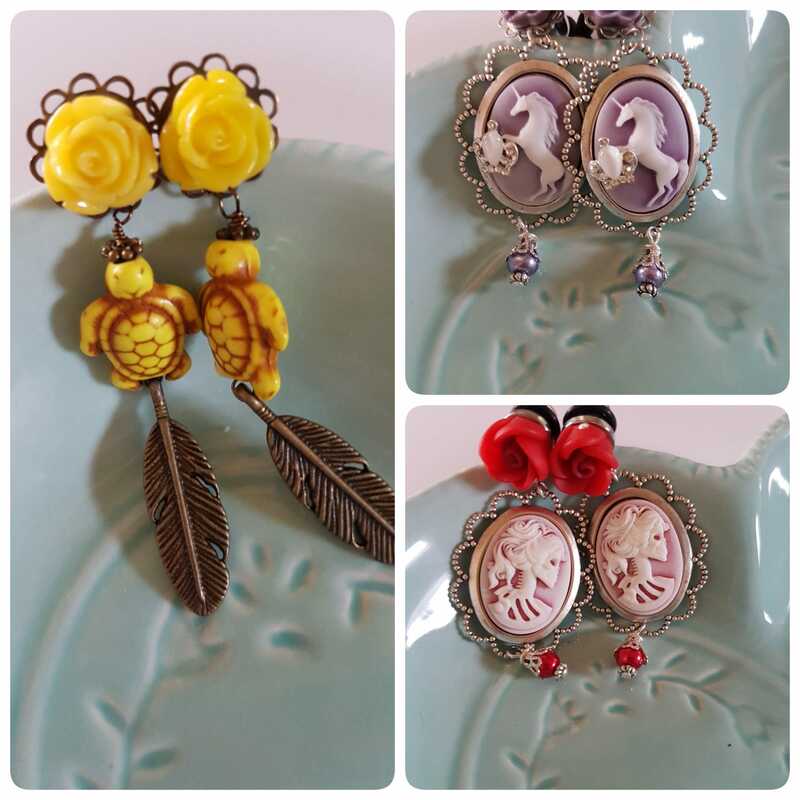 Each pair is handmade by me using surgical steel plugs that are held in place with O rings. 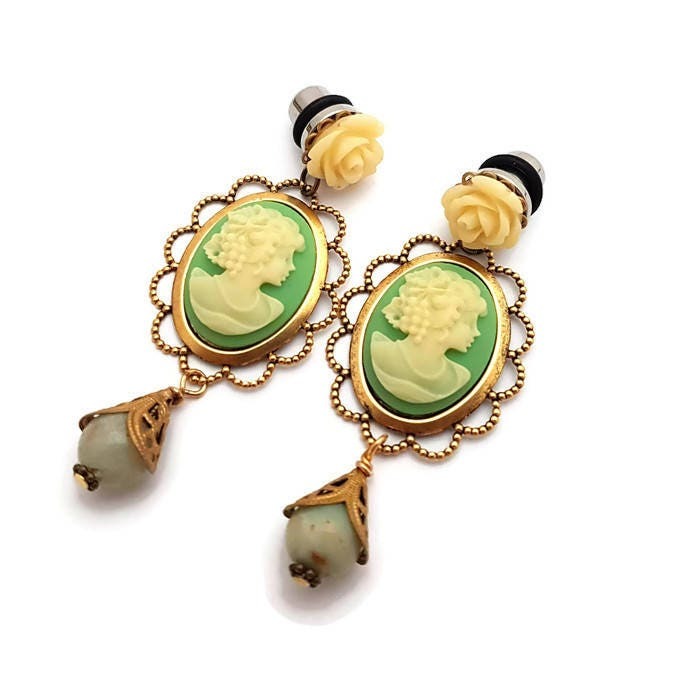 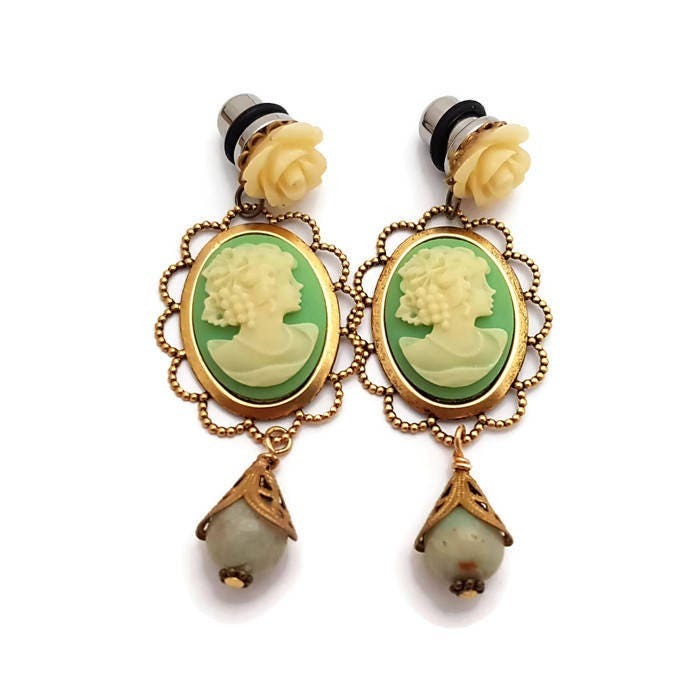 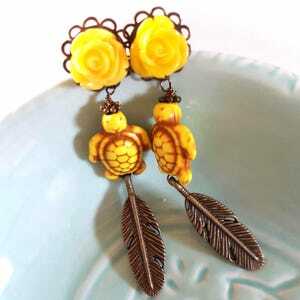 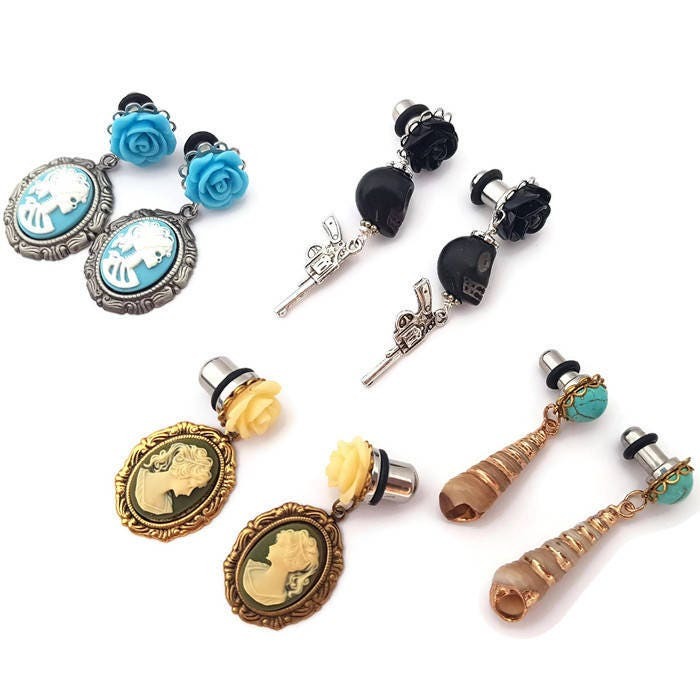 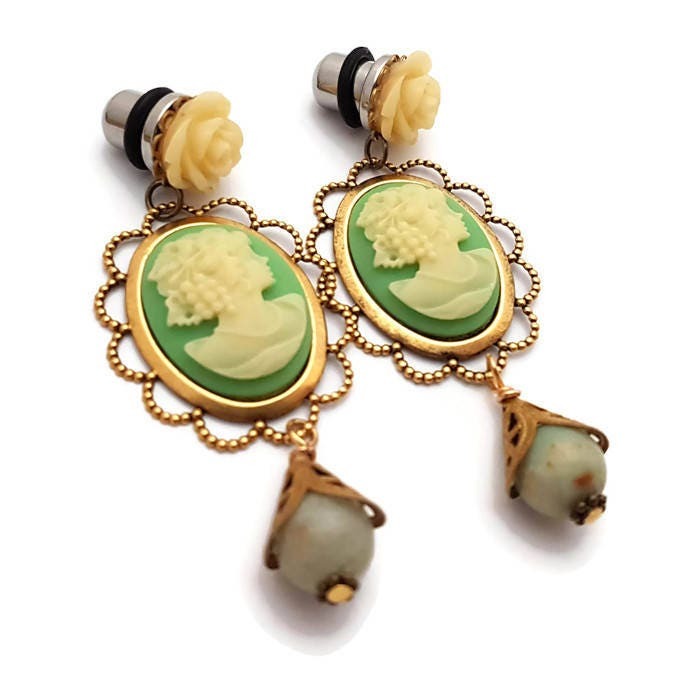 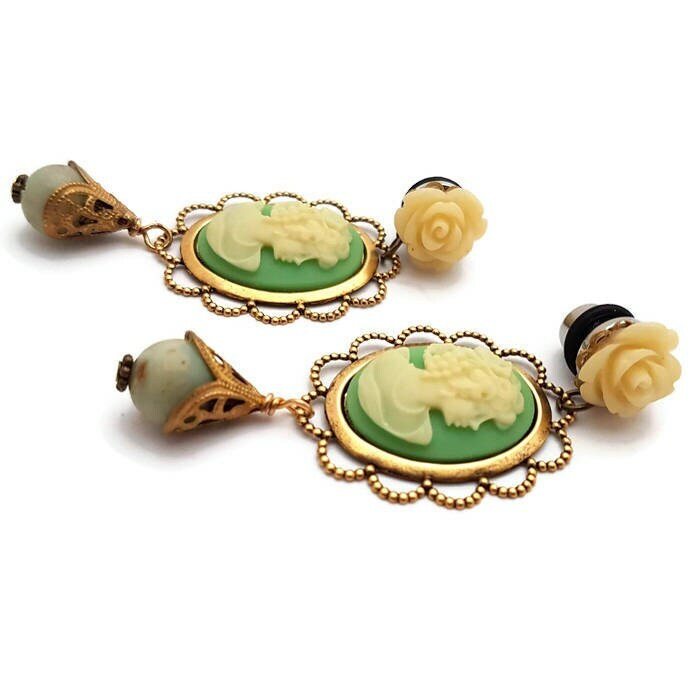 They feature a resin flower set in a brass setting and hanging from that is a lovely cameo. 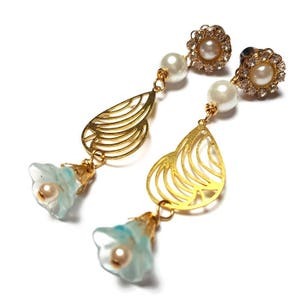 Hanging from that is an Amazonite bead.